Designing a stylish presence. With the opportunity to connect with customers and prospects in person, businesses need to look their best at tradeshows. That’s especially true if your product is sold to people looking to beautify homes and other interior spaces. 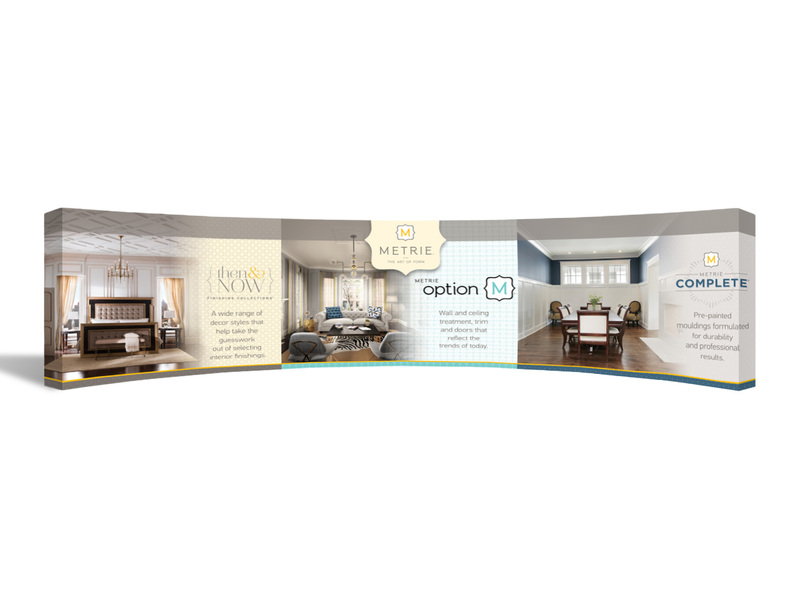 As a repeat client of Evoke Idea Group, Metrie turned to the Evoke team to create a 10 foot wide trade show booth that would attract attention and increase engagement among event attendees. The finished project showcases several Metrie products while still keeping with the brand’s clean and elegant look.